If you haven’t heard of Tailwind and you have a blog, you NEED TO. Tailwind is an amazing auto-scheduling tool that saves time by scheduling out all your Pinterest Pins and Instagram posts from one spot. And time is money in my books. I’ve left this as a totally separate post from my previous one about How to Schedule Your Posts to Pinterest because I’m so darned excited about it! So, why should you choose Tailwind to market your Instagram posts for your business? Here are some stats generated by the Tailwind team. More followers, more likes and more posts published! I can’t see what’s to lose? 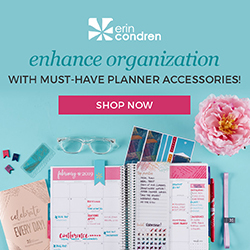 Anytime I can use something like Tailwind to schedule out my pins and Instagram, it frees up my time for collaboration, training, and other marketing techniques. I’ll take any opportunity to carve out a slot for “free” time. You can try Tailwind for free using this link for your first 100 Pinterest pins and for your first 31 Instagram posts. I imagine they gave 31 so that you can have a whole month worth of daily posting before you decide you can’t live without it in your business. Being that I’m not that savvy with Instagram to start with and that my current media sharing plugin does not work with Instagram at all, the new features from Tailwind are going to make sharing posts even easier! You now have the option to choose between automatic posting or notification reminders for super easy Instagram scheduling! Other auto schedulers I’ve been using only allow to posting to Instagram through notification reminders, which is tedious and quite frankly, irritating. This new feature eliminates the need to go back to your Instagram post and actually press send. All you do is set your post up and BANG. It posts when you want it. How easy is that? You will have to do a little configuring to attach your Instagram account to your Tailwind account before you can get going on posting. The setup is simple and Tailwind walks you through the whole process. First, click on your picture in the top left-hand corner and click on Manage accounts. Click on Add Instagram account and type in your username and password. Verifying your Instagram account is really simple. A red banner will pop up on the top of the screen to connect your Instagram account through Facebook. This new connection will allow your Instagram posts to be uploaded automatically, eliminating the need for the notification that I discussed before. Your Tailwind account is automatically set up to default to your Pinterest account. Once your Instagram account has been attached, you will need to go back to your picture in the top left-hand corner of the screen and click on it. You should see your Instagram account as a drop-down option. Click on that. This will take you directly to the Draft menu in your Instagram Tailwind dashboard where you can start loading your posts into the queue. There are two ways you can upload your Instagram photos to Tailwind. The first way is to go to Publisher and then Drafts and click on Upload Images. You will get to choose your images from your computer files. You can also drag and drop multiple files at one time. The other way, which is super cool, is to go straight to your website, click on the Tailwind App in Chrome, and choose the pictures that you would like to add right from your website. The beauty in this is that you will already have descriptions in the pictures, saving you time. The newly advanced auto-cropping from Tailwind will automatically set a “smart” crop if you upload a photo that’s too wide or too tall for Instagram, so you don’t have to create additional graphics! Yahoo! And, if you don’t like how it’s automatically cropped, you can customize its position before posting too by clicking on the crop icon in the top left-hand corner of the picture and adjusting the layout. Next, you’ll want to add your captions and hashtags that will appear on your post. 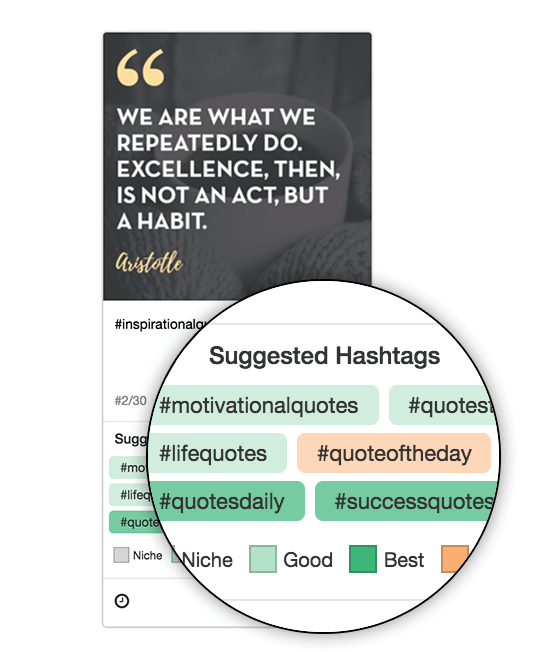 Tailwind has a built-in hashtag finder and you can create reusable lists with it so that you don’t have to memorize or copy and paste from a master list. This is a really cool feature. Especially if you are not very hash-tag literate, like me. Before you add your caption, first, add a hashtag that compliments the keywords in your post. For example, type in #tailwindapp hashtag for a post related to Tailwind. Tailwind will automatically populate a list of suggested hashtags that will work with that keyword. You can simply click on the ones that fit your post. Keep in mind that the dark green hashtags are the best to use and will give you the most bang for your buck. Once you have a list of hashtags, you can click on the hashtag symbol and then click on the copy from caption to create a reusable hashtag list for the future so you don’t have to do it again! Genius. Use the hashtag generator and save for future posting to save TIME. The next thing you should do is decide how many posts per day you would like to schedule. On the bottom right half of the screen, there will be a link to Add/Remove Time Slots. Click on this. Then click on Generate New Smart Schedule. You can set how many open post slots you would like Tailwind to populate for you as well as the time span that you would like them to be posted in. Save your preferences when you are finished. Once you have updated all your preferences how you would like them, you can go ahead and schedule out your posts. You have a choice of either scheduling in intervals which start at a specific date and time and are spread out or scheduling all, which will set your posts back-to-back in the queue. If you do not like the way your posts are set, you can simply drag and drop them to the spot you want them to post and can lock each one in place by changing the toggle at the bottom of the thumbnail so that they do not get shuffled in the future. Another new cool feature that Tailwind has come up with is a way to schedule your Instagram stories from an iOS device. In your Tailwind app, click on iOS Notification when uploading your story and your story will be held in the queue until it is ready to be posted. You will be notified on your device when you have scheduled your story to load and can authorize it. I would guess that in the near future, Tailwind will be gearing toward automatic posting on this one as well as stories have become so popular in Instagram. So easy! Instagram Scheduling Magic! Have you tried scheduling your Instagram posts with Tailwind yet? Tell me what you think in the comments! Really useful, informative post, easy to read and clearly explained. Thank you. You are very welcome Trish! So glad it could be of use to you. Have a fabulous Monday! Yes…time is money…..very informative and useful blog….makes sense to save time and headache.. So true Krish! Thank you for reading and I’m glad it was helpful for you! Have an amazing Monday! Thank you Tracy! I was really excited about putting this one out. Thank you for the detailed and clear information about Tailwind. I’ve been wondering about it. I have a Tailwind account and have never used it! Thanks for all the great info….I will definitely start using it now! Thank you Danesa (love the name btw!!).. I am loving Tailwind’s new Instagram features for sure! I have a Tailwind account I have never used! I will definitely start using it now! Thanks for the great info! Tailwind is a great tool for Instagrammers. It has so many useful tools to make posting easier. It is great Gillian! How long have you been using it for Instagram? I’m new to it but love it! Thank you so much for this! I have been trying to figure it out! Wow! Love this. This is such a nice way to build in an audience and to work with. Also, you have such a pretty blog. Thank you for these tips btw! ? You are so welcome!! I’m glad you found value in the article. 🙂 Thank you for reading and your thoughtful comments! 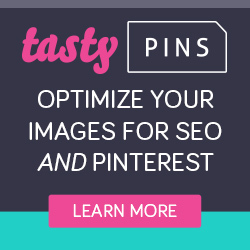 I’ve used tailwind for Pinterest, but not Instagram. Love this and saving for later! I use tailwind all the time but I’ve never used it to schedule my Instagram posts. I’ll definitely be referring to this guide when I’m ready though. This is very detailed and helpful! Good morning Victoria! I’m glad that you found my post helpful. Tailwind has definitely been a life-saver for me! I liked the whole idea of saving time but is there any chance of the instagram profile being shadowbanned because of such scheduling apps? I read about it on the net so am a bit skeptical on using these scheduling apps..do let me know how safe is it..
What a great question! I did a bit of research on the shadowban and from my understanding it is the use of inactive or using the same hashtag groups that actually could get you shadowbanned. The interesting thing is that Instagram itself doesn’t actually admit that they even have a shadowban system in place. If you’re using Tailwind as an automatic scheduler and use their hashtag generator you should be safe because you’re using a variety of hashtags. Try to stay away from using the same set of hashtags all of the time. So even when you’re using the hashtag Creator, try and throw in a few extra ones of your own. Hope that makes sense and hope that helps! Have a great day! This is really interesting specially for me who want to improve my IG game. Thanks so much for sharing this! I’ll definitely check the app out.